In a global scenario that sees several companies getting closer to offering desktop color 3D printing, the first to hit the market with a real multicolor, 3D printing-capable extruder might be Israeli company Something3D. 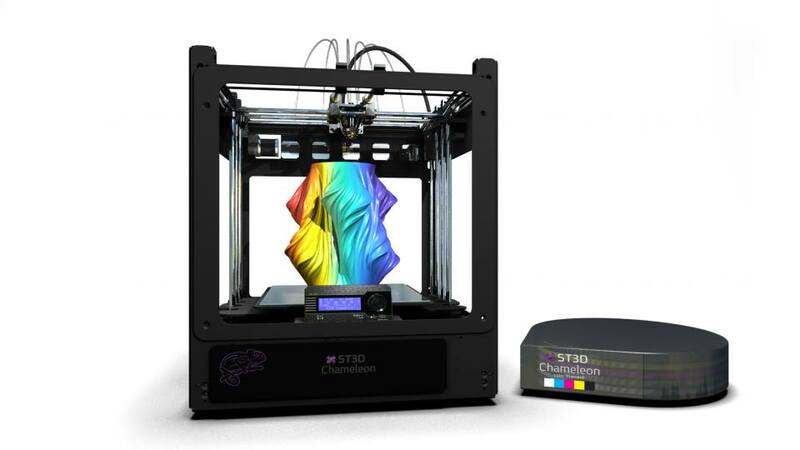 ST3D, Israel’s largest producer of desktop 3D printers, made news last year by releasing a quadruple extruder 3D printer for its larger size (30x30x34 cm) second generation system. The new, full-color hardware is similar to these systems, except that it enables printing of CMYBWTM (Cyan, Magenta, Yellow, Black and White) filaments through a single, patent pending nozzle, which prints the object’s outer shell in a full color texture at 500 micron resolution. 3D Systems has recently acquired Botobjects to bring full color filament 3D printing to the desktop. Spectrom is also hoping to bring a full-color 3D printing extruder to market in the near future. At the same time Pirx, another company working on color filament 3D printing has launched its PIRX One single color system while continuing to work on color 3D printing in the background. Considering that Israel is the land of Stratasys, and thus of MakerBot, it seems plausible that, if Something3D’s technology proved valid, acquiring it might become a way for Stratasys to reply to 3D Systems’ recent moves. Either way consumers should prepare: full-color filament 3D printing is coming.